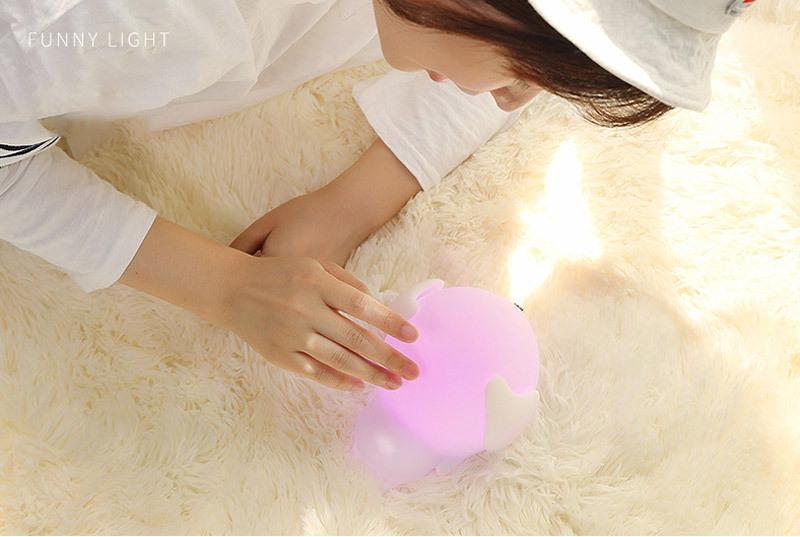 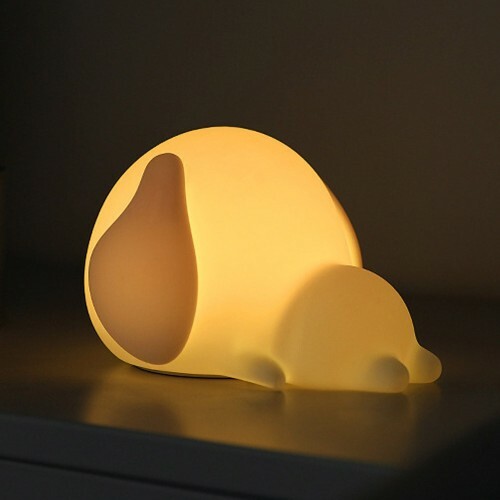 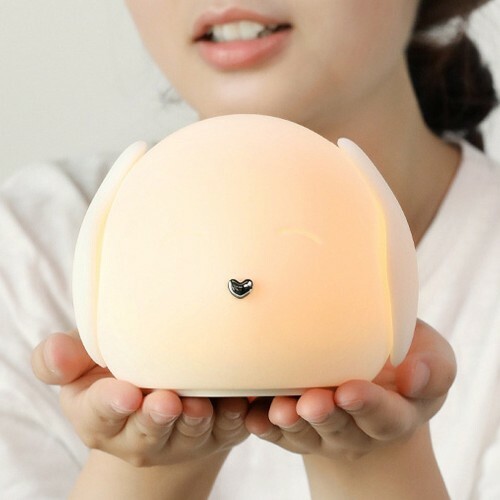 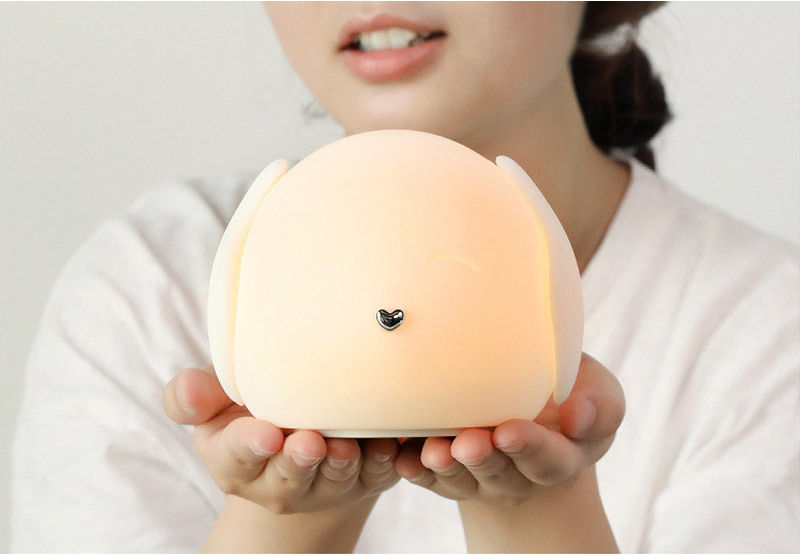 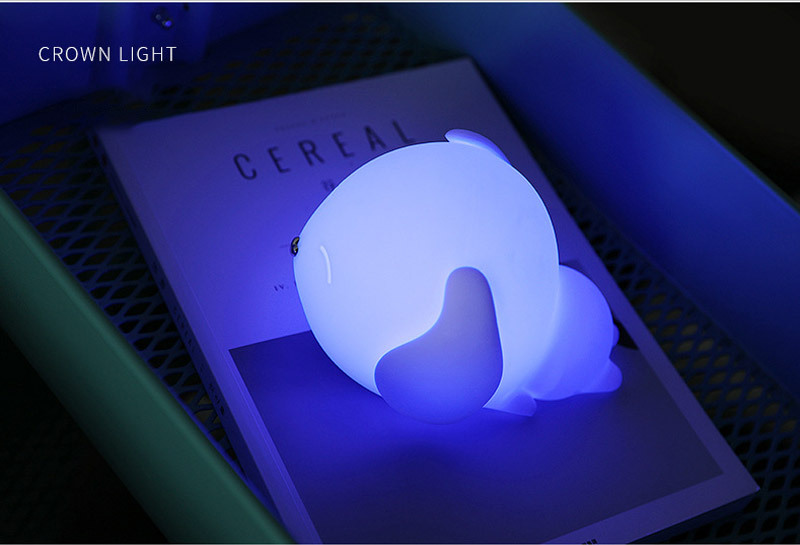 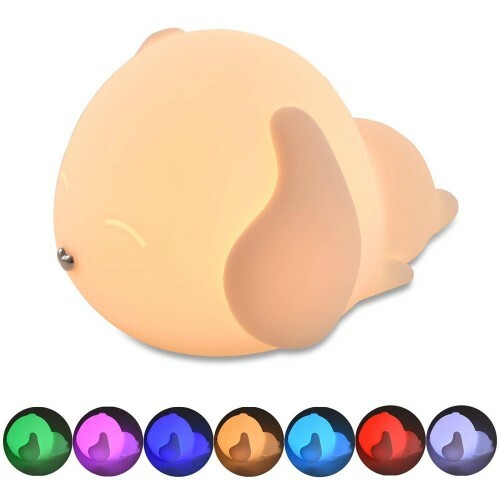 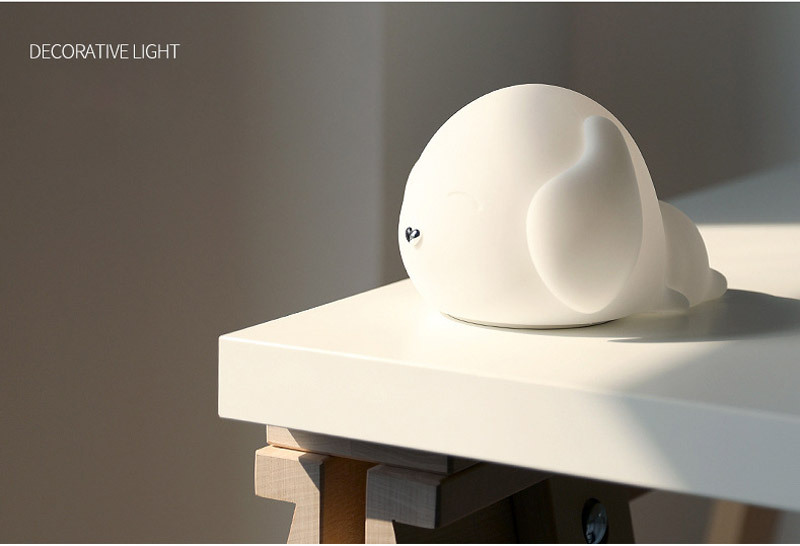 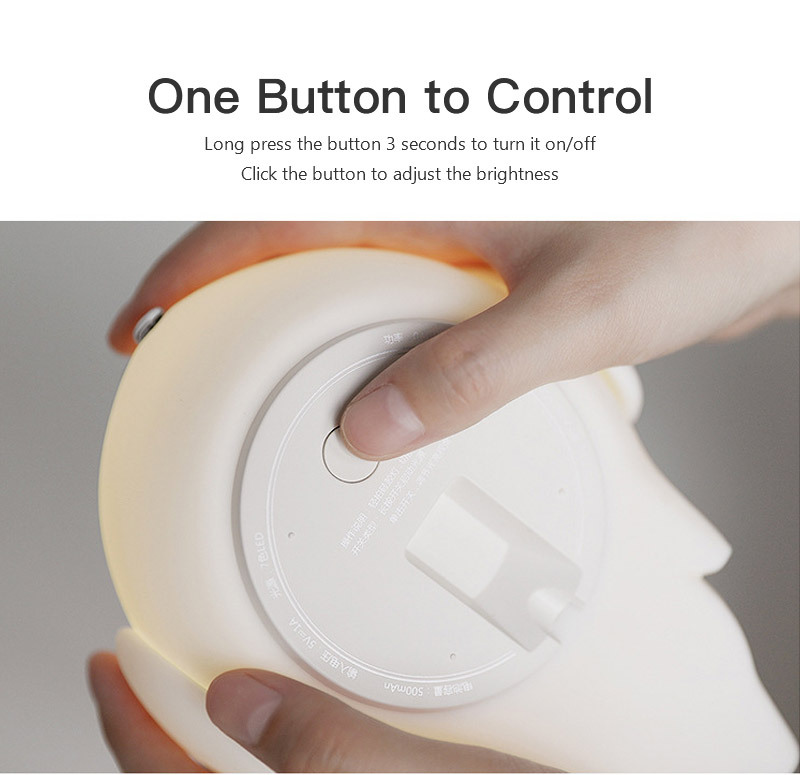 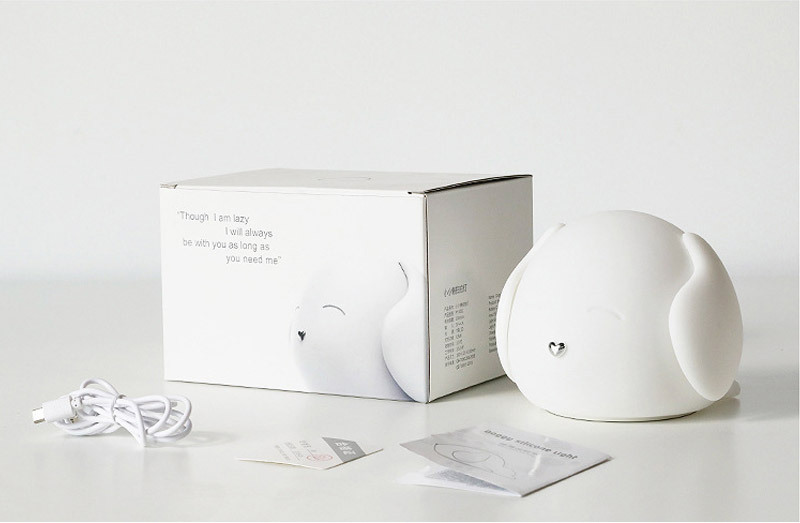 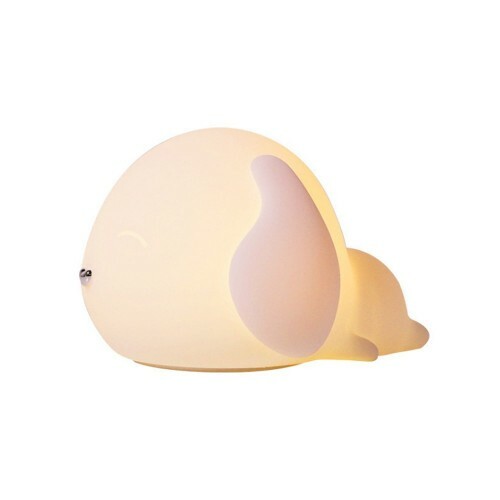 This lovely puppy sleeping night light may bring an enjoyable and relaxing bedtime experience for baby/kids to sleep. 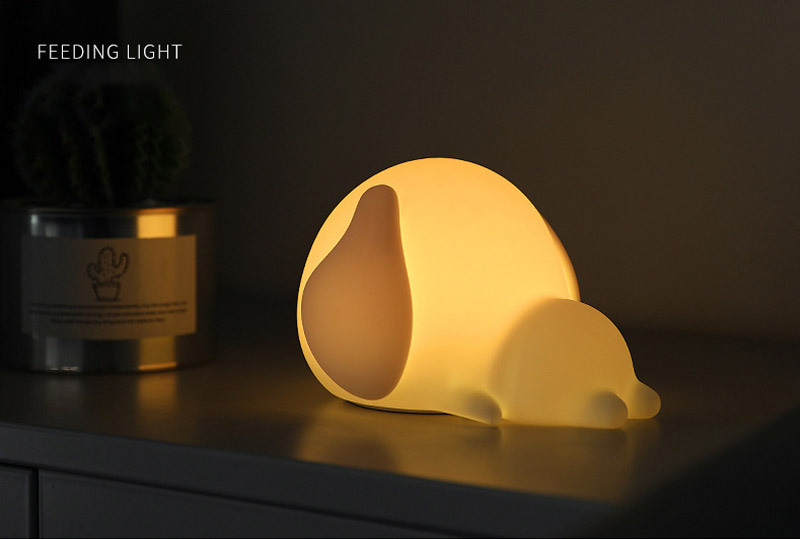 It was not only a night light, but also a great decoration gift for kid room, bedroom, nursery, baby room or anywhere you want to put it on. 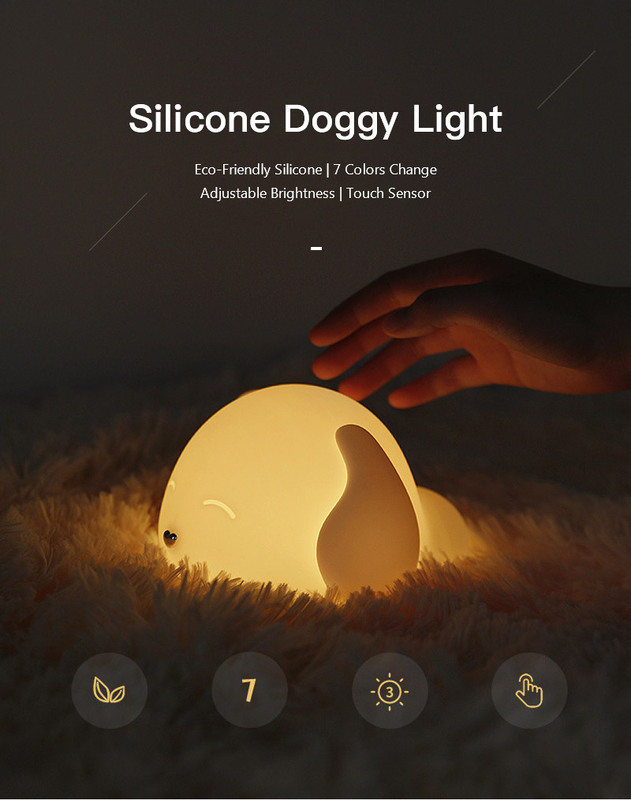 Hopefully it may bring your kid a sweet and safety dream every night. 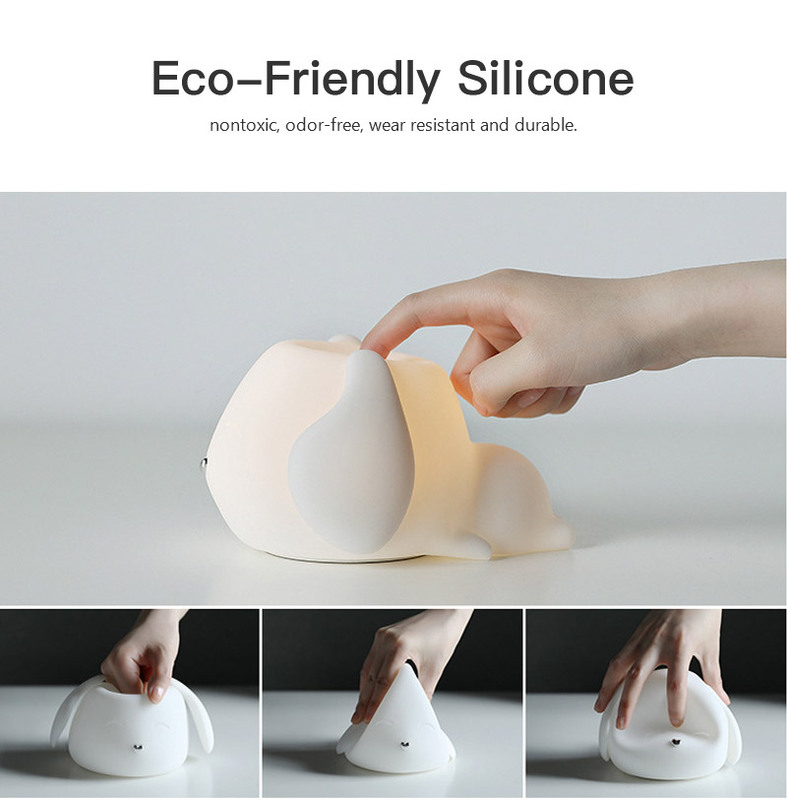 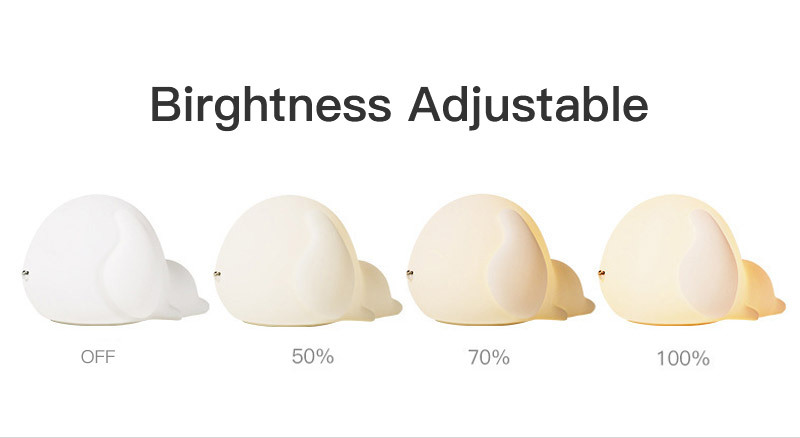 Lovely rabbit shape, kid’s favorite,Warm light create romantic and sweet atmosphere perfect for birthday,Valentine’s Day,Chrismas, Halloween;Environment friendly silicone material,safe night light toy. 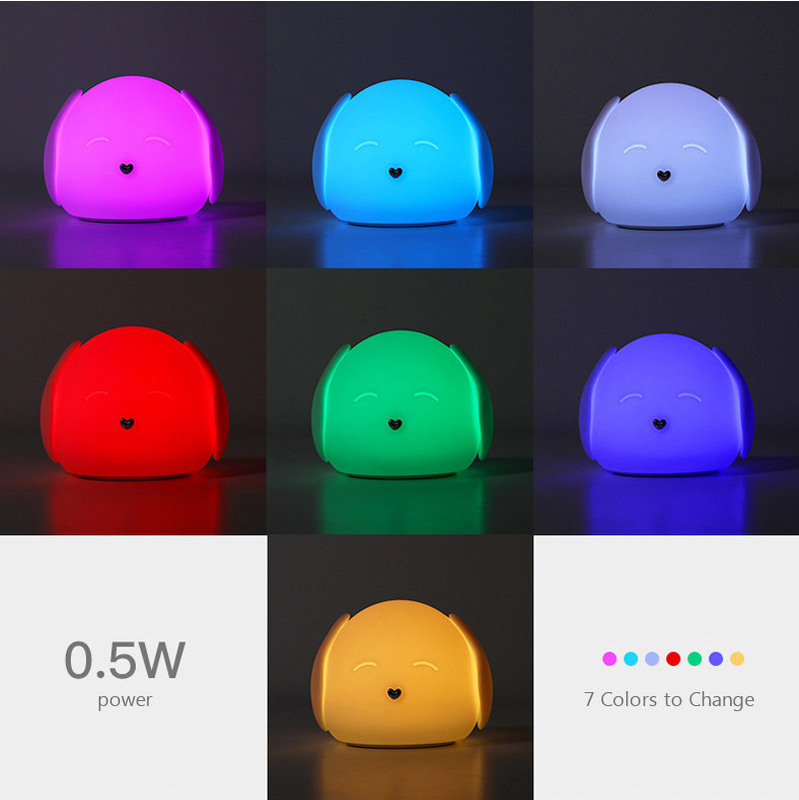 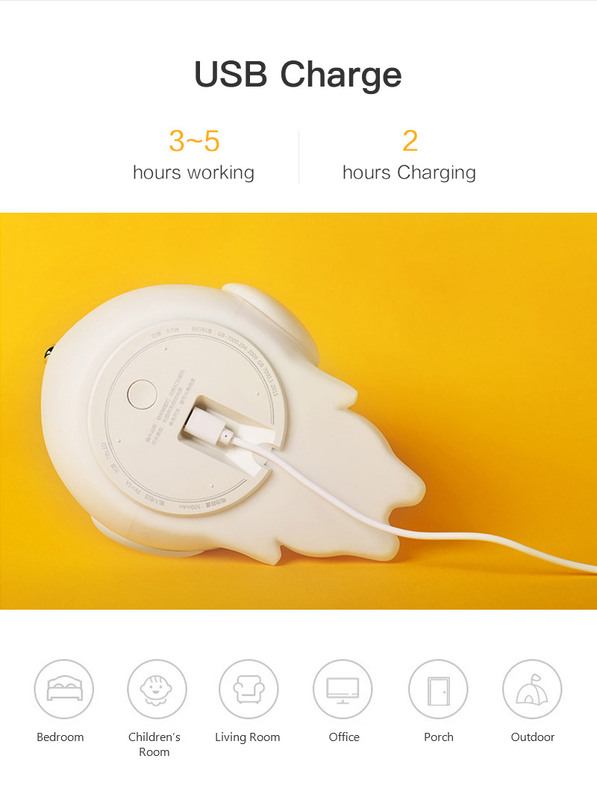 Built-in 500mAh rechargeable battery,it support 4-6 hours working aftrer 1 hour charging.